Jenny Rissveds of Sweden won Olympic gold on Saturday in one of the most hotly contested women’s mountain competitions in recent memory. 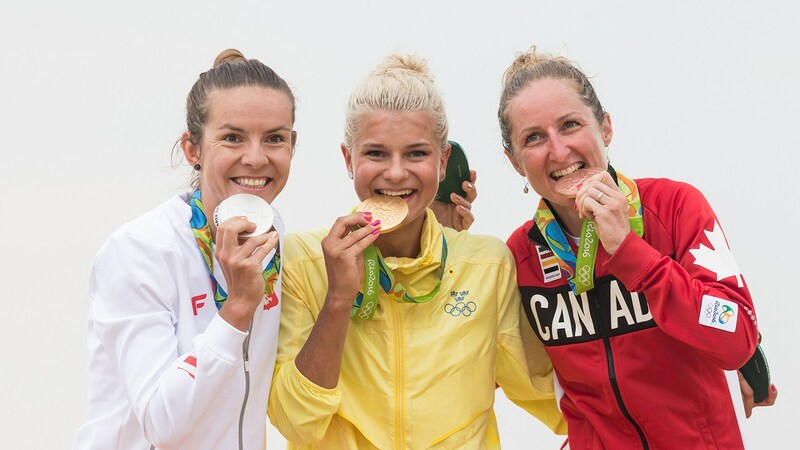 Maja Wloszczowska of Poland took silver and Catharine Pendrel of Canada won the bronze medal. The women’s race had tremendous depth, with at least six strong medal contenders on the start line. Linda Indergand of Switzerland attacked on the start loop and led the field onto the course for the first of six laps. Indergand stayed away for over a lap, ahead of a chase group containing Rissveds, Wloszczowska and Jolanda Neff (Switzerland). 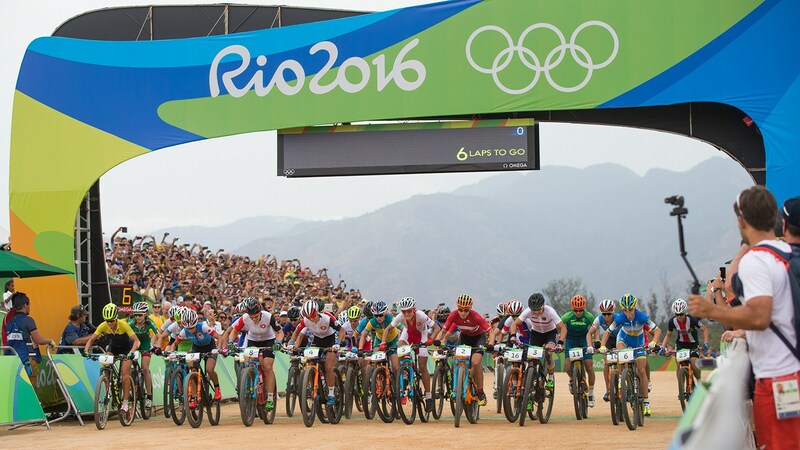 Just behind them were Gunn-Rita Dahle Flesjaa (Norway), Emily Batty (Canada), Annika Langvad (Denmark) and Katerina Nash (Czech Republic). Pendrel went down in the crash at the end of the start loop dropping to 25th, and then staged an incredible race back through the field. Rissveds, Wloszczowska and Neff caught and dropped Indergand on the third lap, with Batty, Nash and Dahle Flesjaa chasing 14 seconds behind. A lap later they had been joined by Pendrel, and attacks by Rissveds had shed Neff from the front group. Pendrel and Batty then dropped the rest of the chase group to move into third and fourth on the fifth lap. 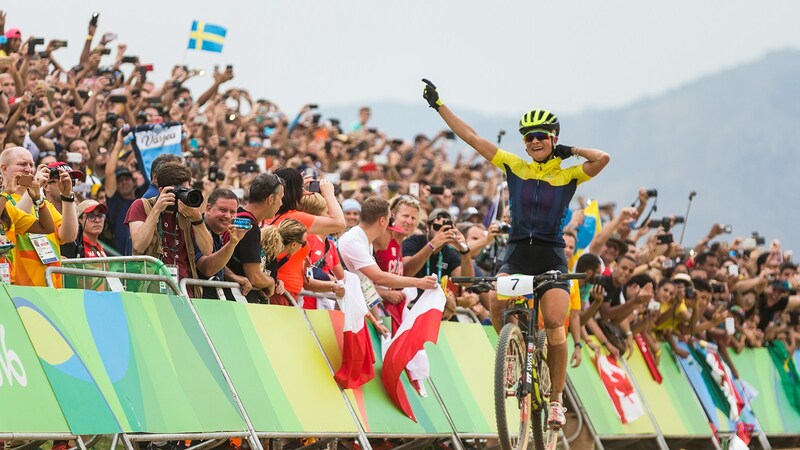 At the front, Wloszczowska was unable to respond to a last lap attack from Rissveds, and looked to be in danger of being caught by Pendrel before rallying to hold on for silver, while Pendrel held off her team mate by two bike lengths to claim bronze.